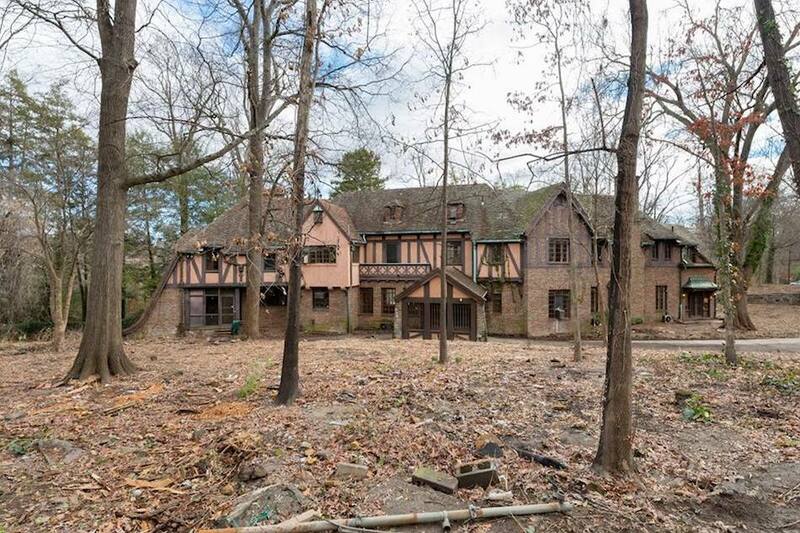 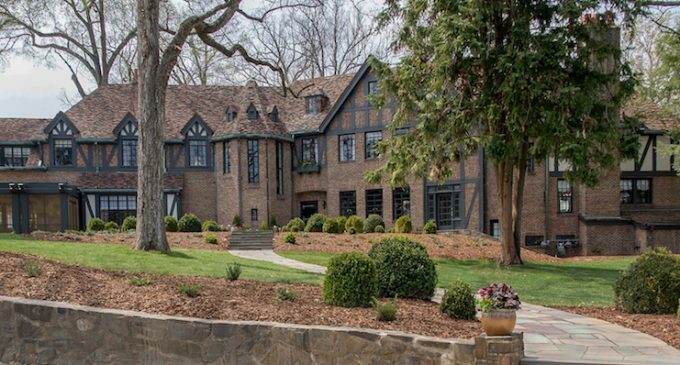 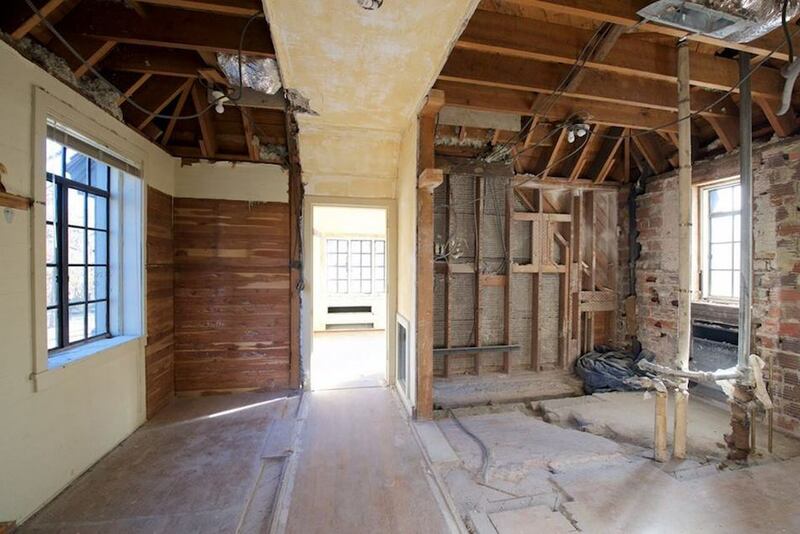 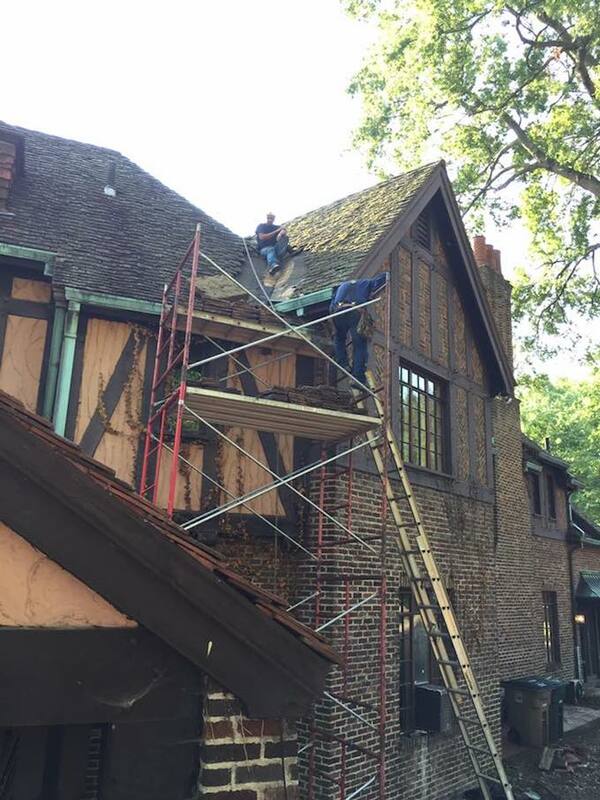 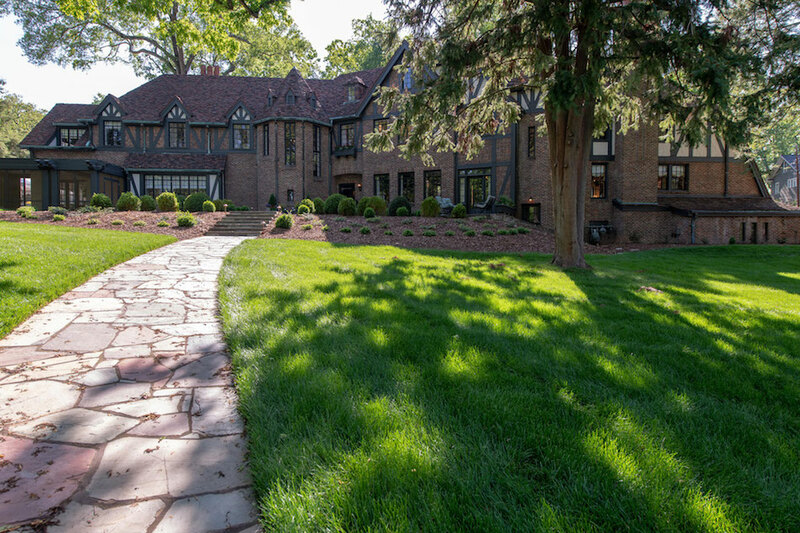 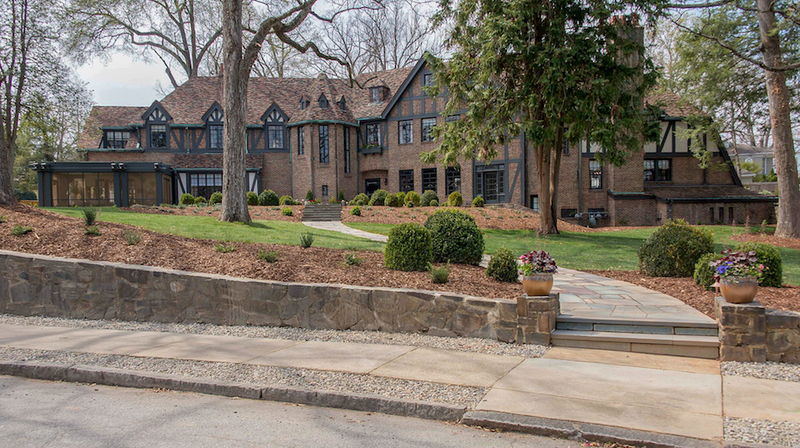 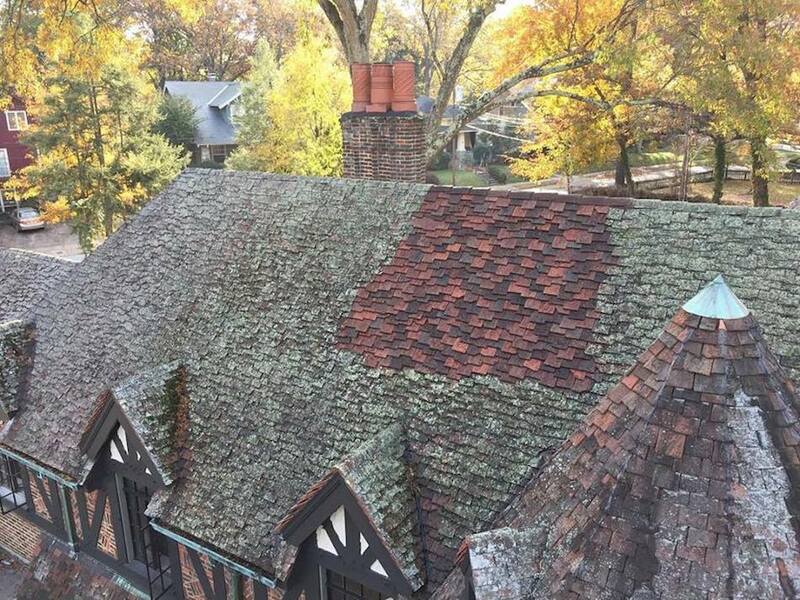 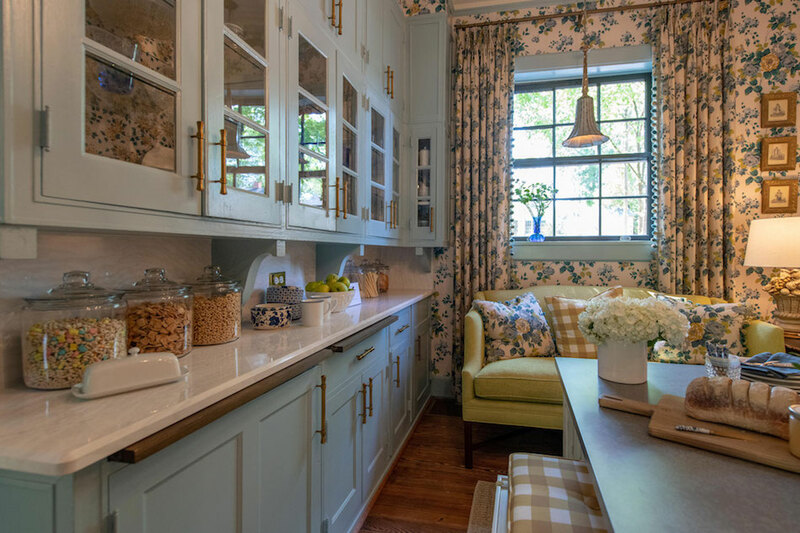 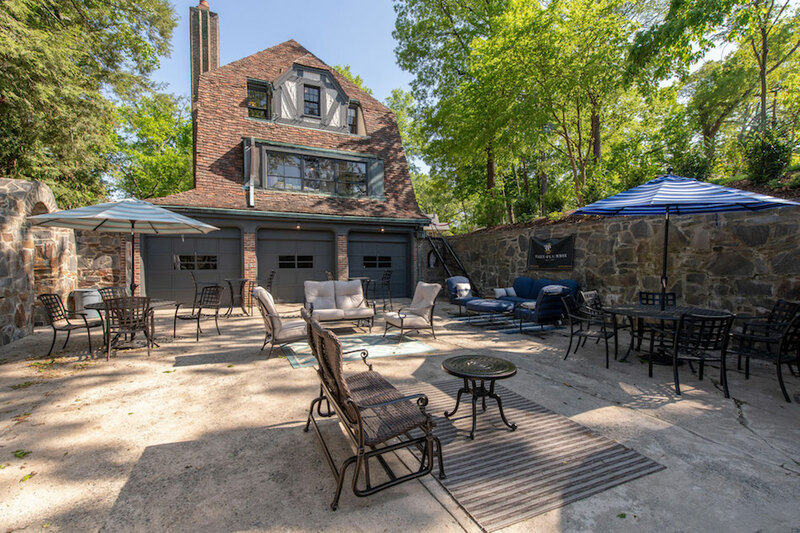 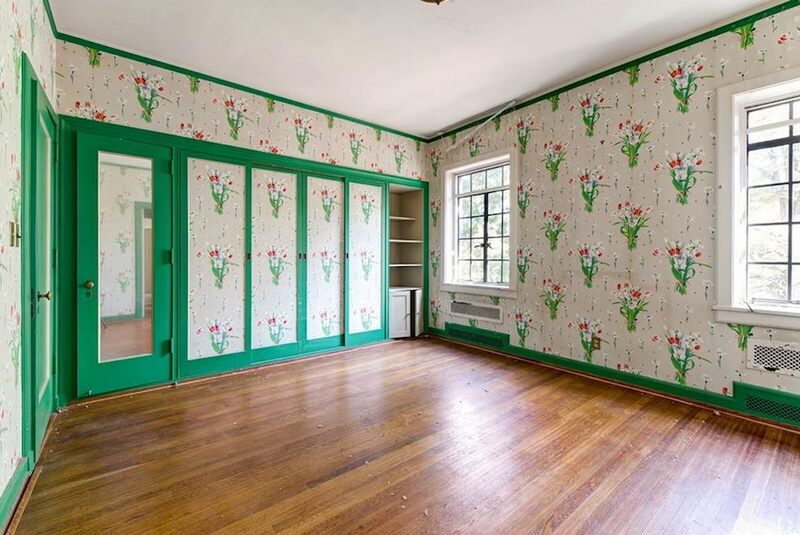 A sprawling brick Tudor Revival mansion in Greensboro, North Carolina’s Fisher Park neighbourhood has been brought back to life following an explosive two-hour season finale of Hoarders on A&E. 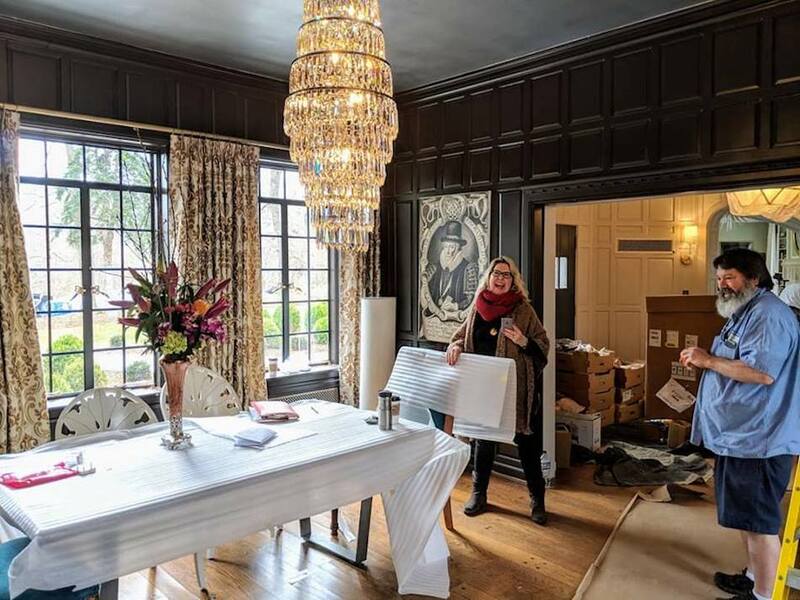 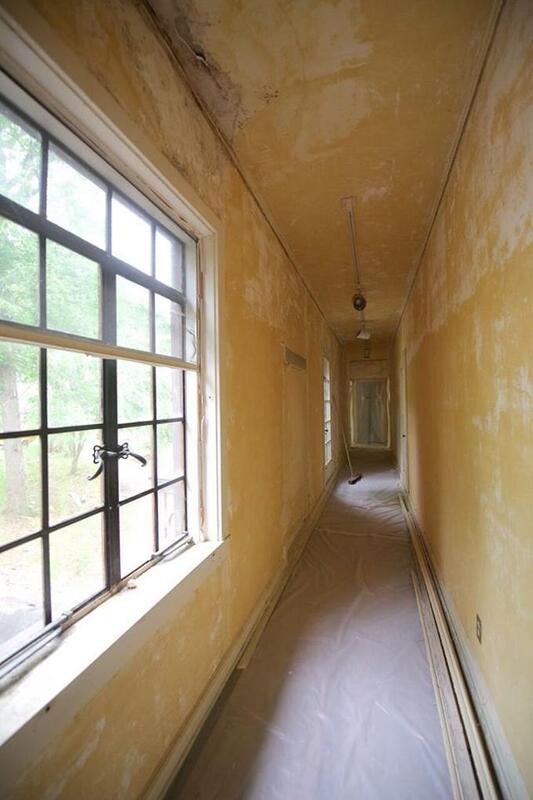 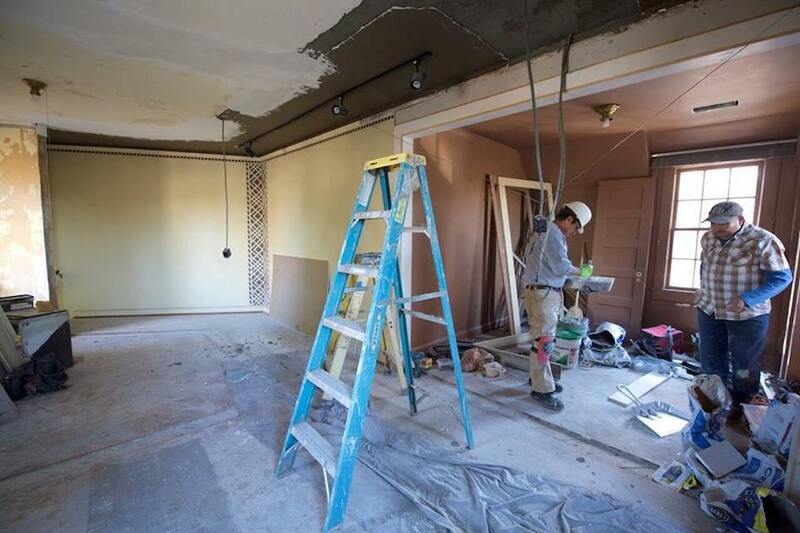 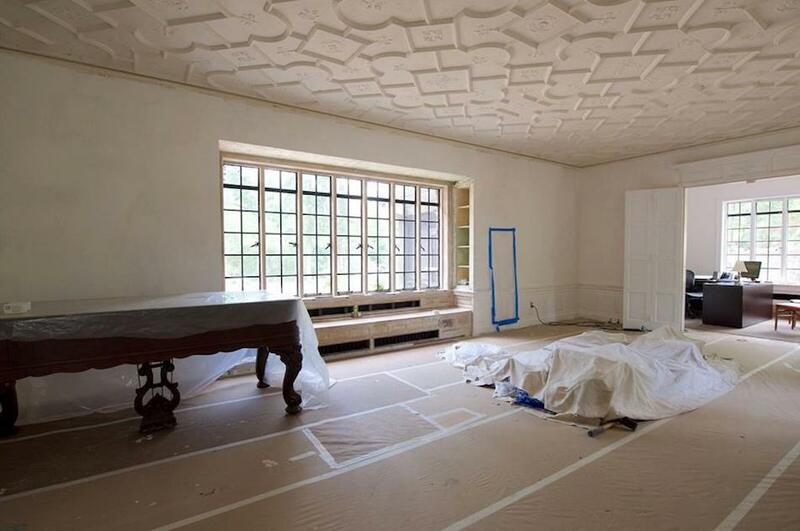 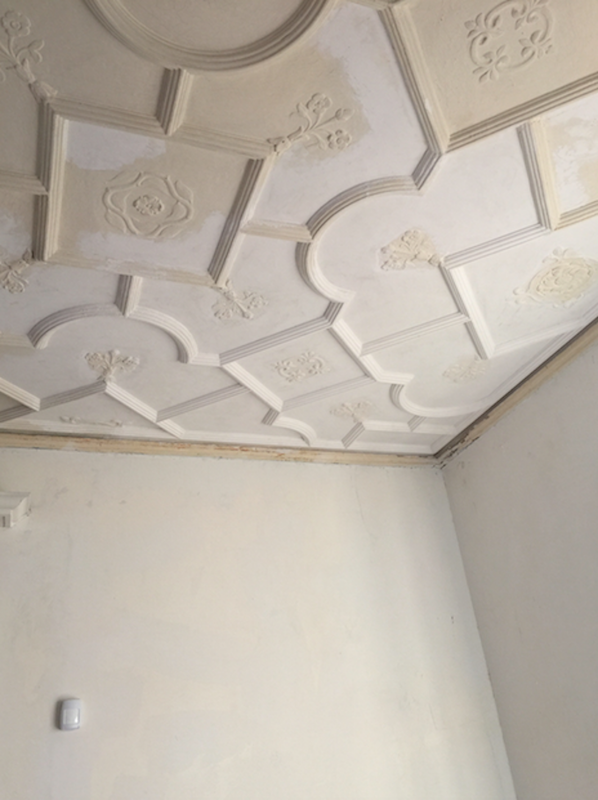 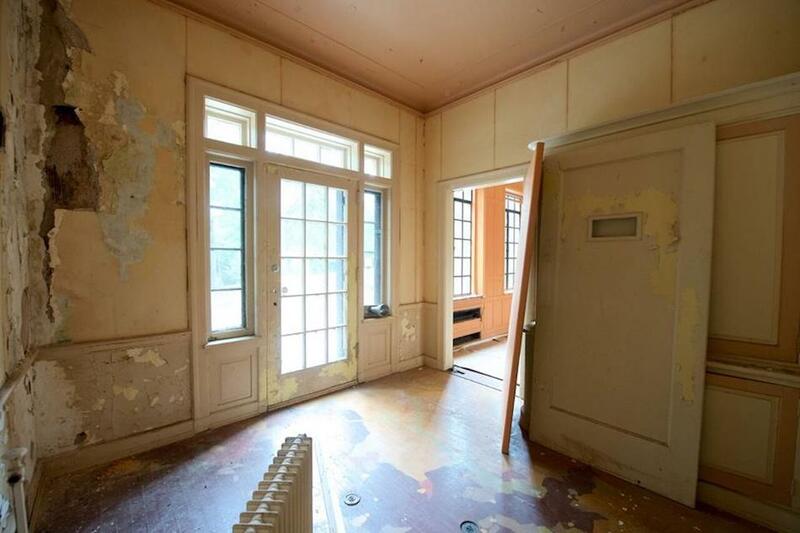 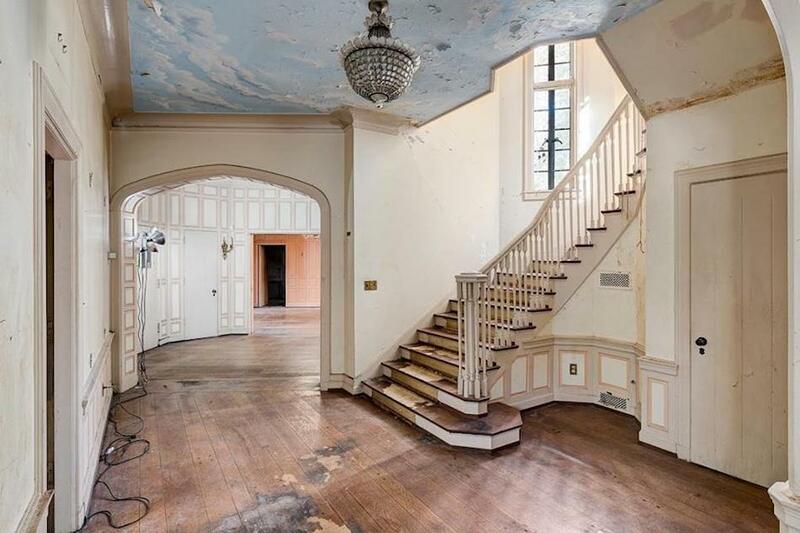 The episode aired in January 2017 and just two years later, owners Michael Fuko-Rizzo and Eric Fuko-Rizzo, have followed through with their plans to restore and breathe new life into the mansion. 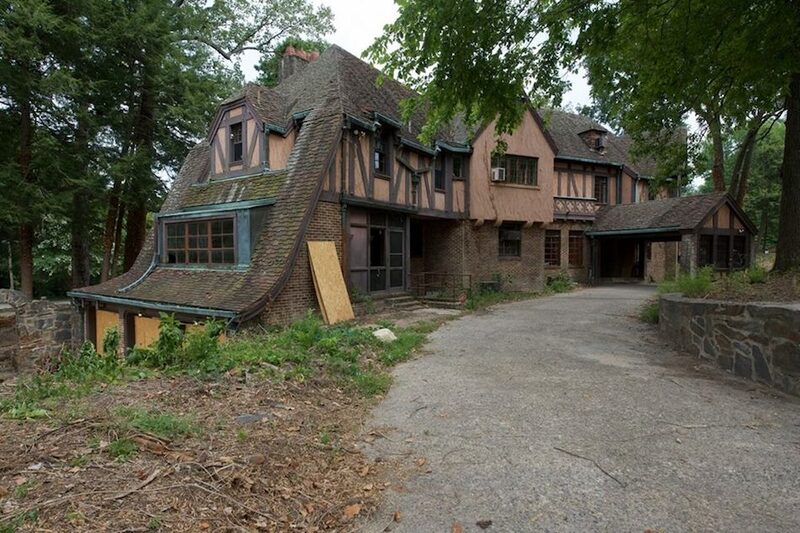 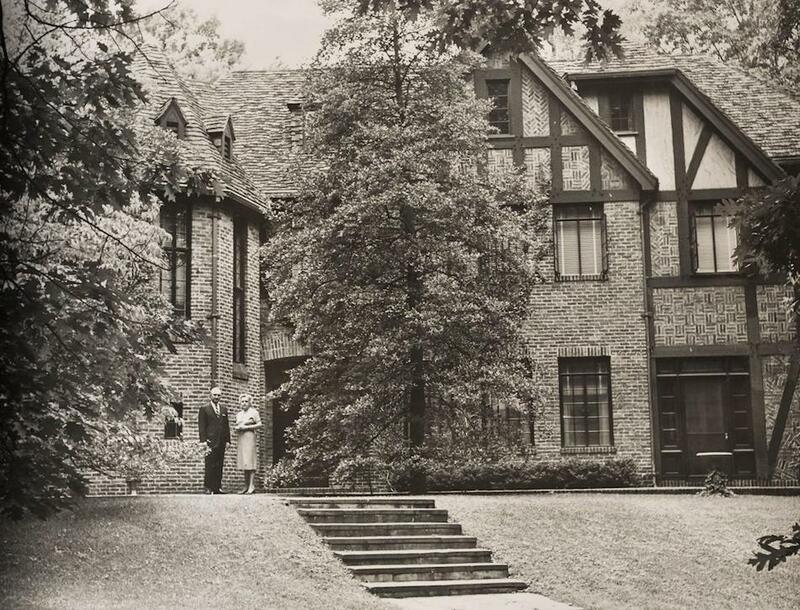 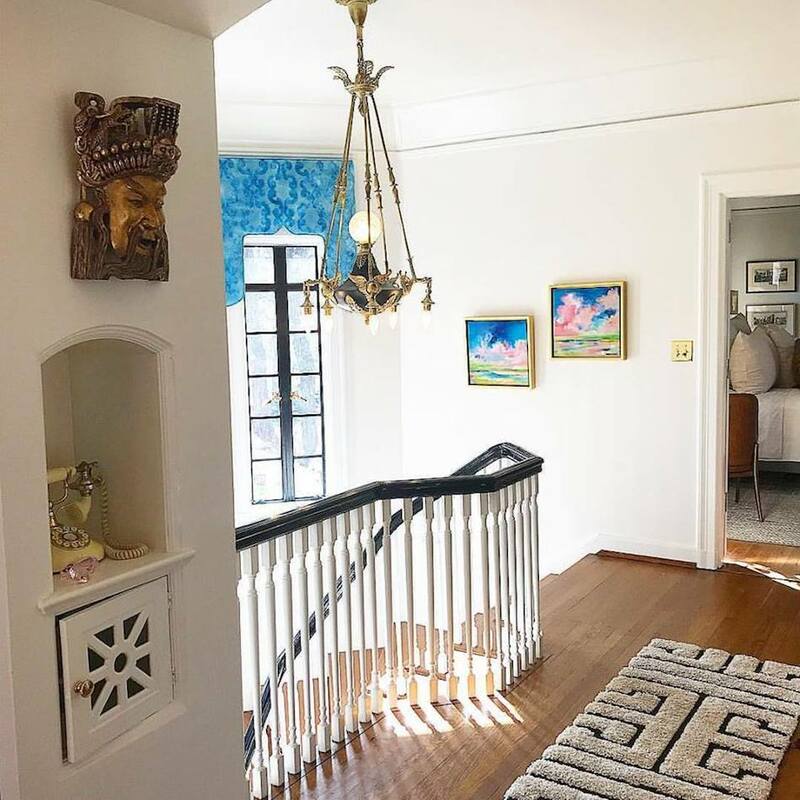 Designed by architect Charles C. Hartmann and built in 1929 for Julian Price, the 31-room residence measures 180-feet long with a three-storey polygonal stair tower, brick and timber exterior and close to 9,200 square feet of space. 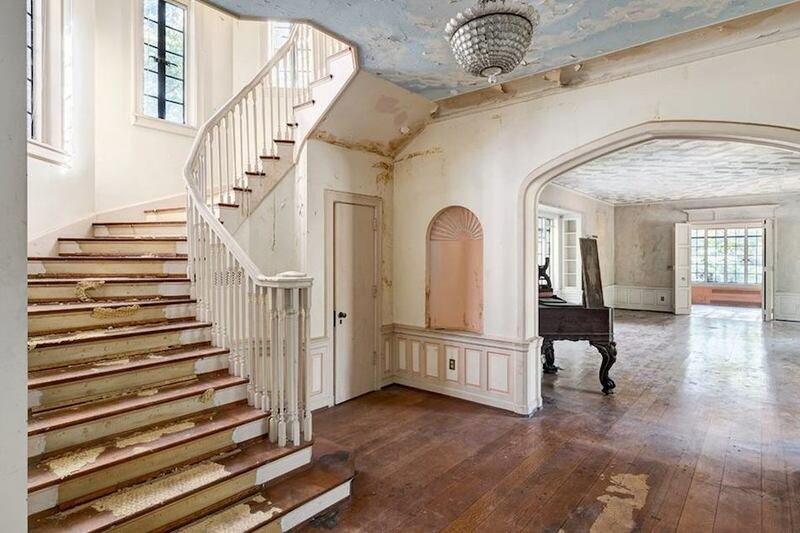 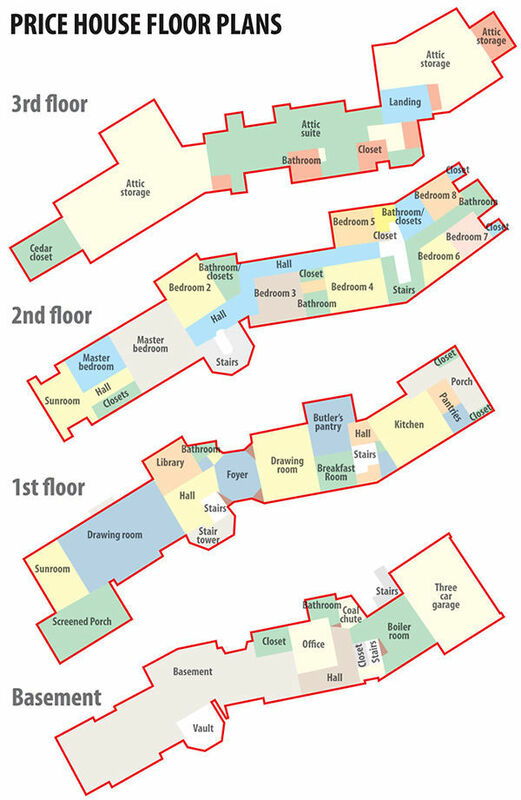 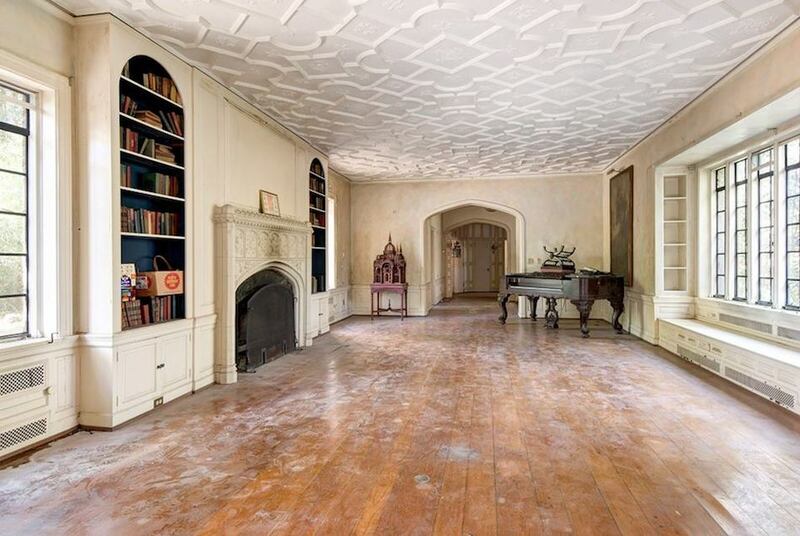 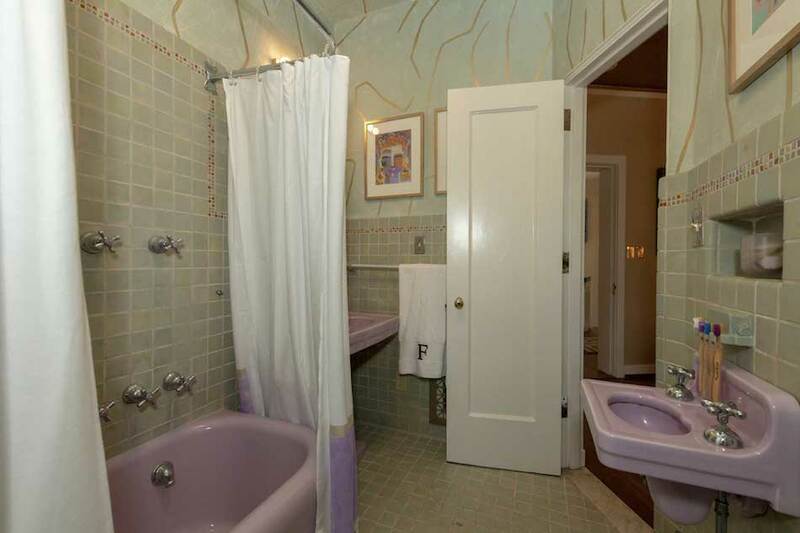 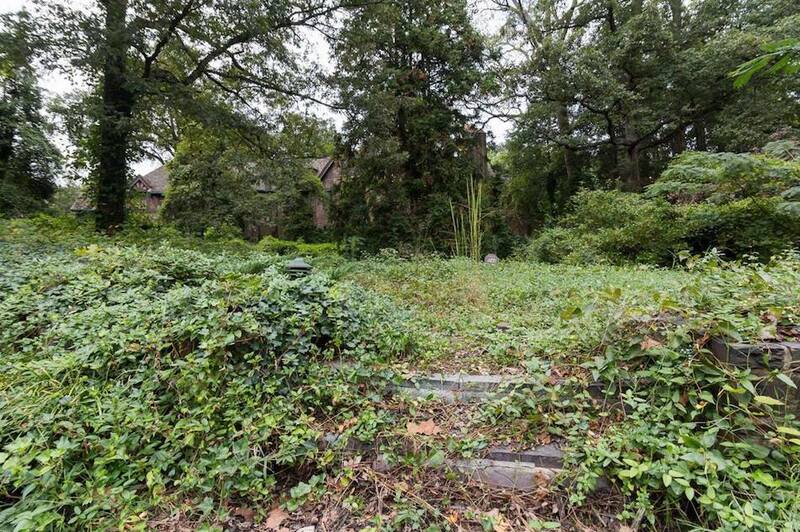 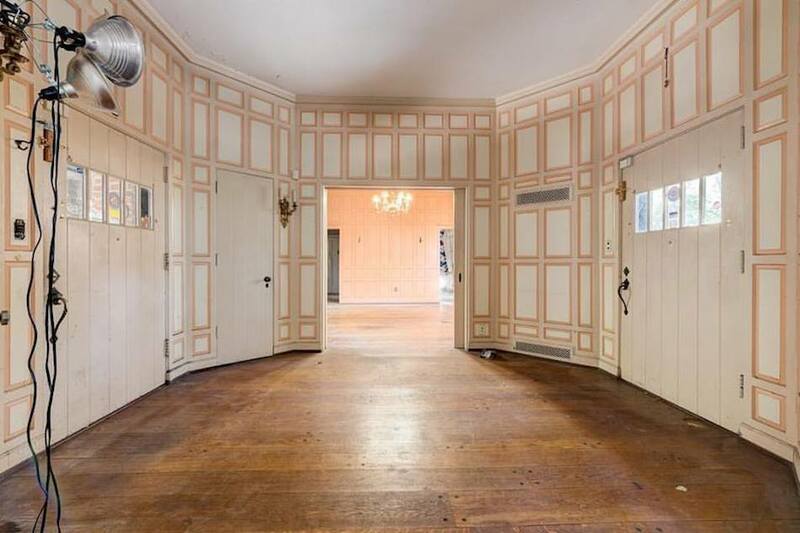 Prior to the Fuko-Rizzo’s purchasing the property, it had been inhabited since 1972 by recognized interior designer Sandra Cowart, who eventually hoarded every square foot of the mansion, closing her business and ultimately losing the mansion to foreclosure, Michael and Eric purchased the mansion in September 2016 for $415,000. 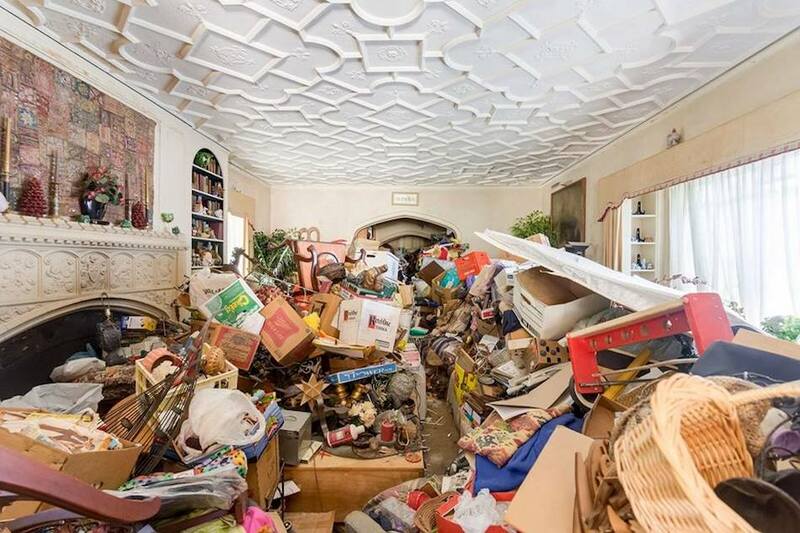 Sandra refused to part with her hoard and remained living in the house she no longer owned. 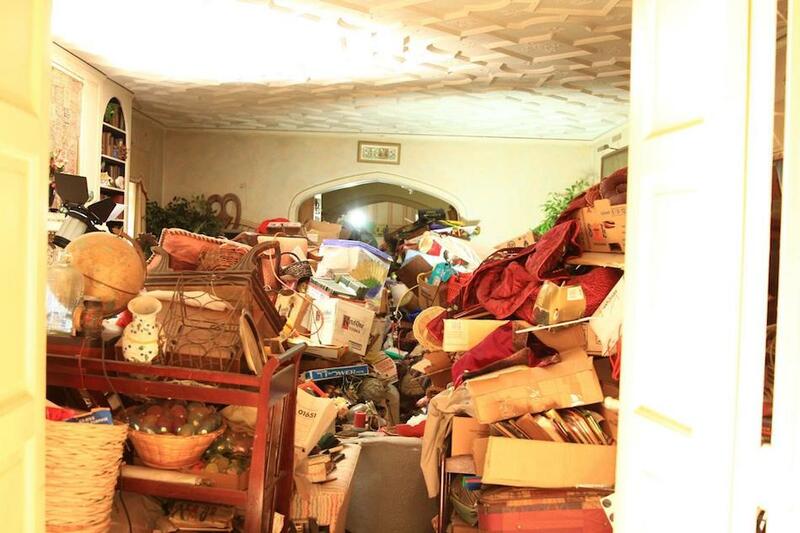 The two-hour episode of Hoarders was an emotional insight into hoarding disorder and just how debilitating it can be. 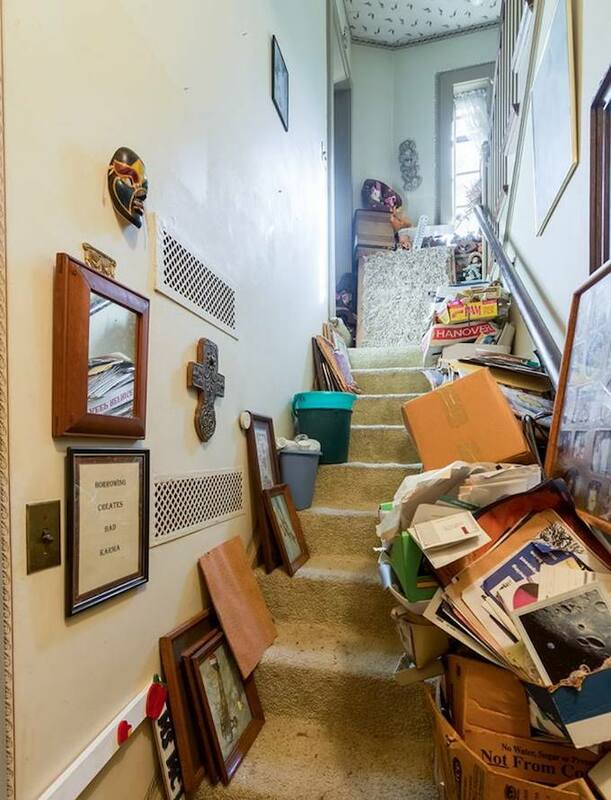 Sandra eventually ran out of time and left with what she could fit in a truck. 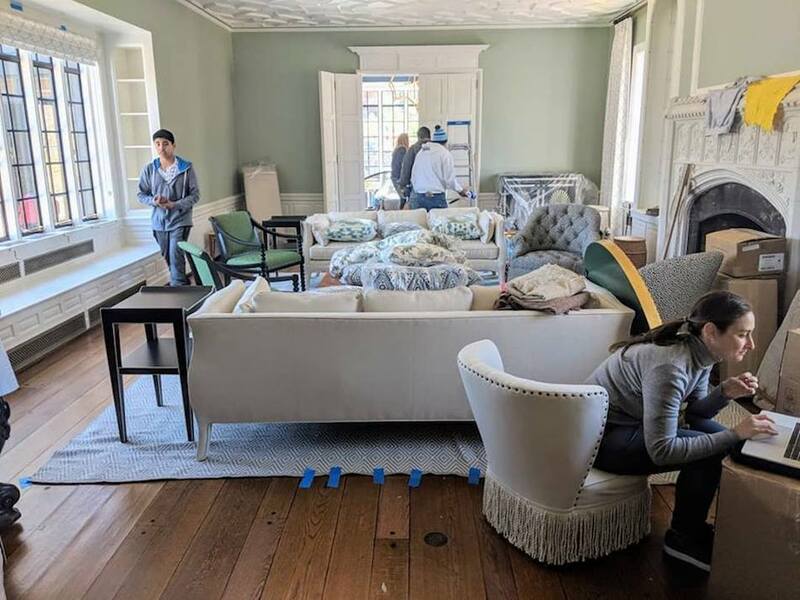 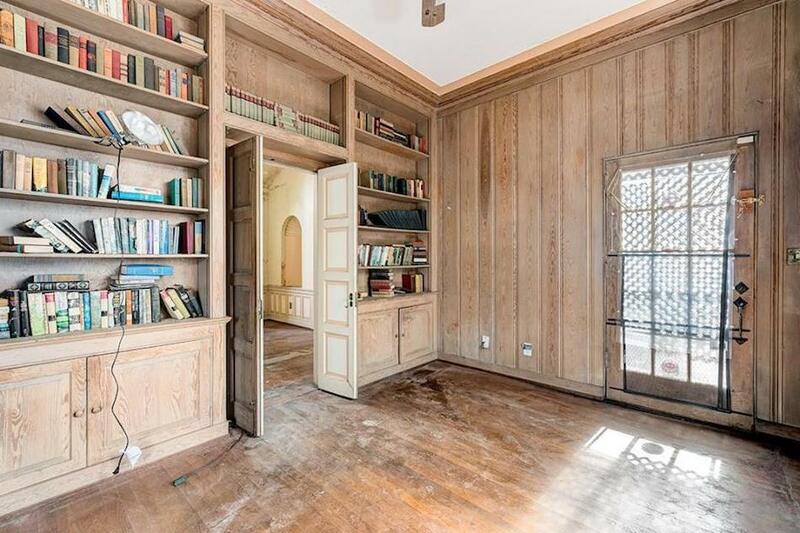 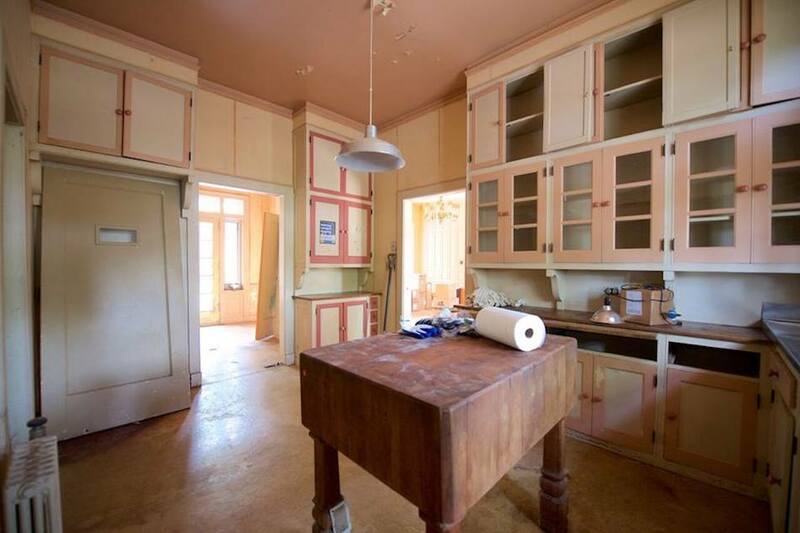 Michael and Eric embarked on the monumental task of not only restoring the mansion but having to deal with all the leftover belongings of previous owner Sandra. 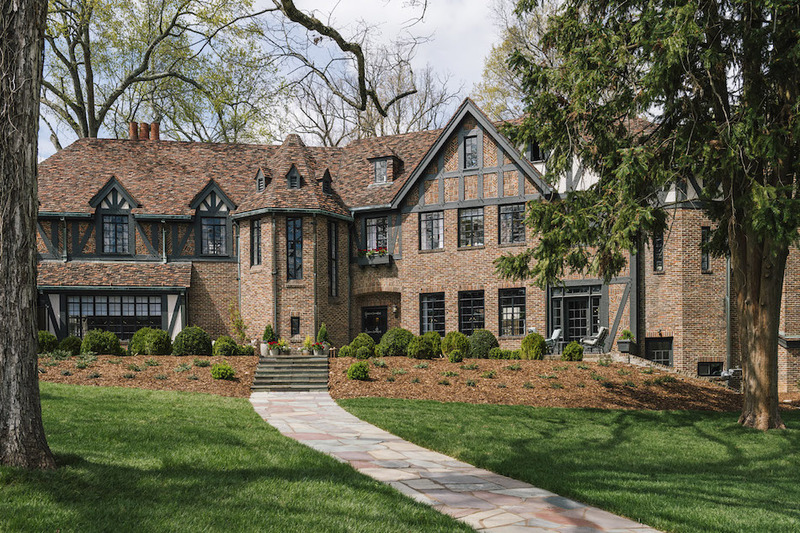 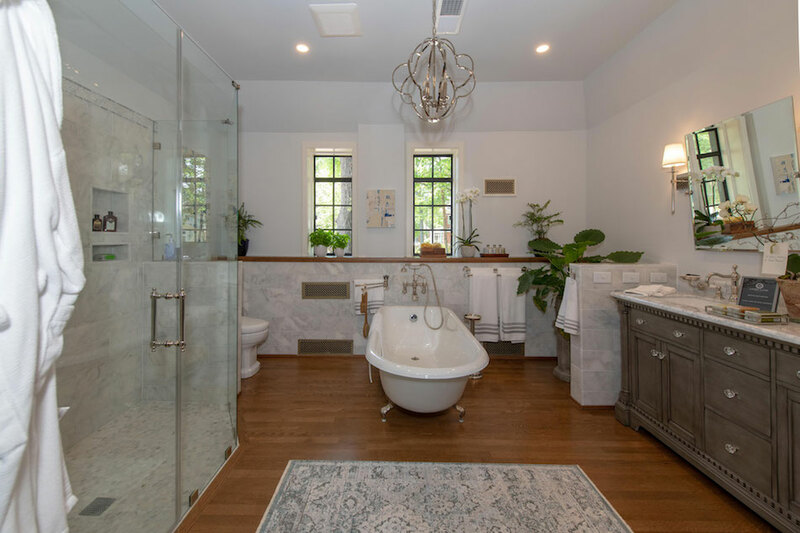 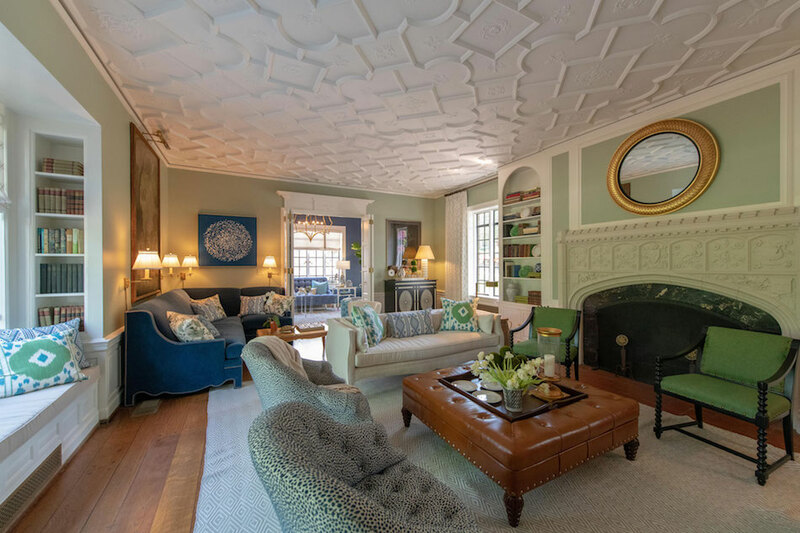 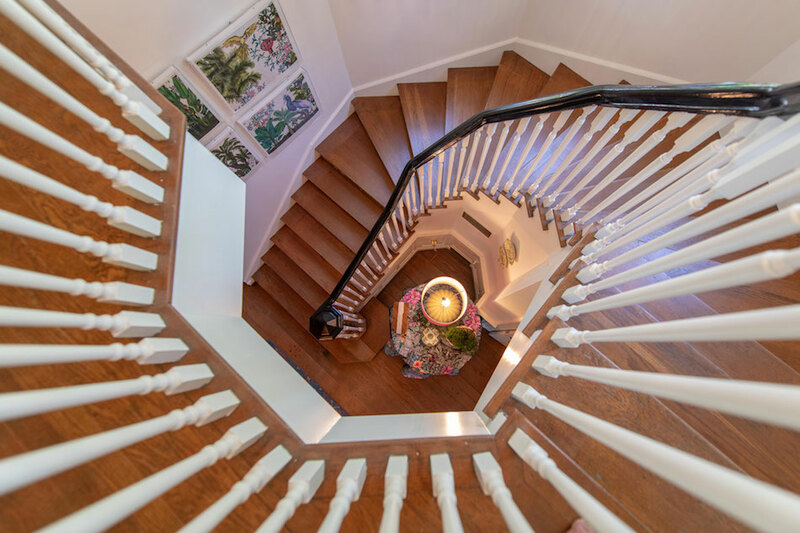 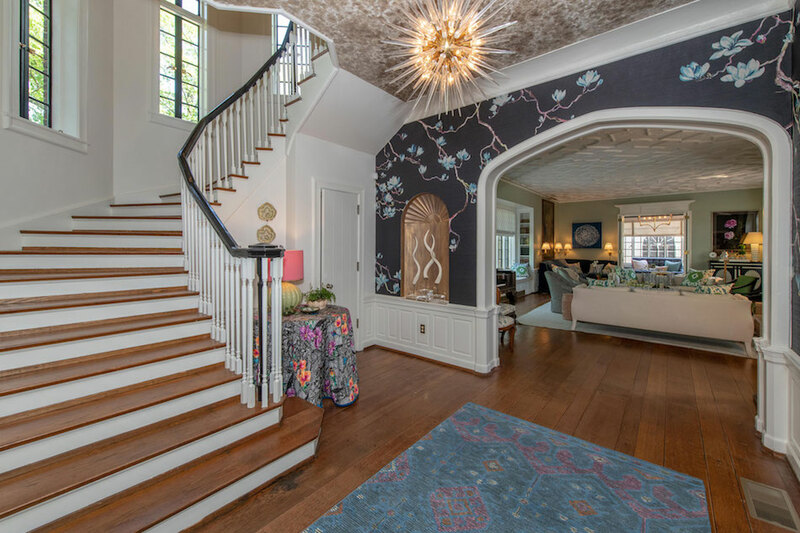 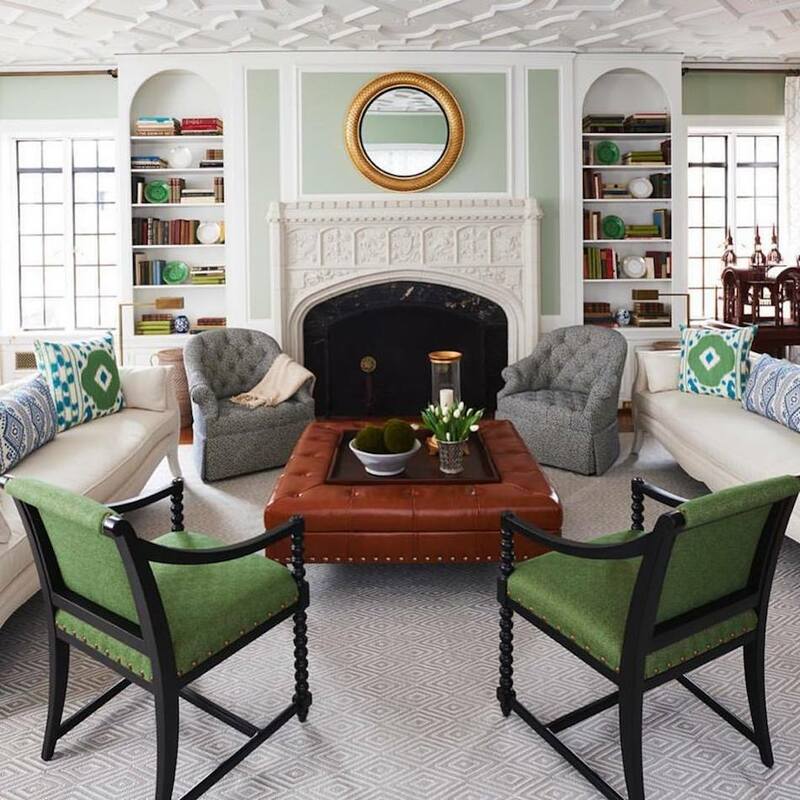 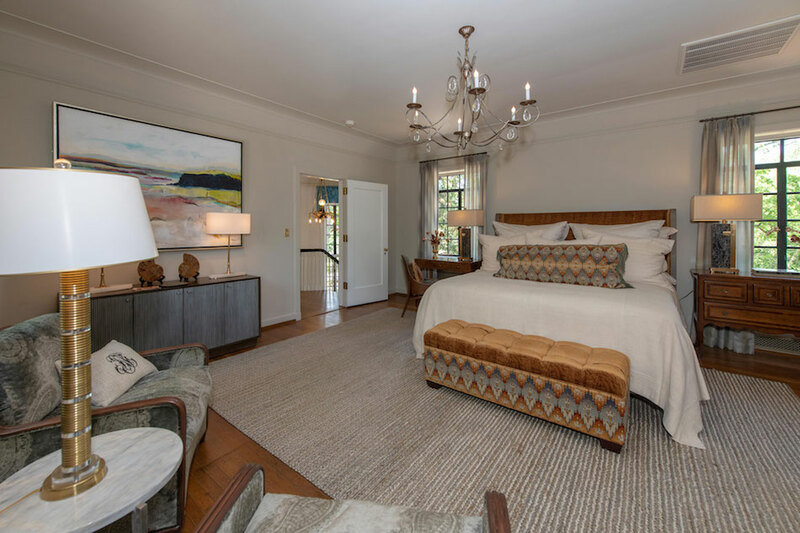 With the assistance of Preservation Greensboro, landscape architect Chip Callaway and the University of North Carolina at Greensboro Department of Interior Architecture, the 9,200 square foot mansion has been fully restored and reimagined. 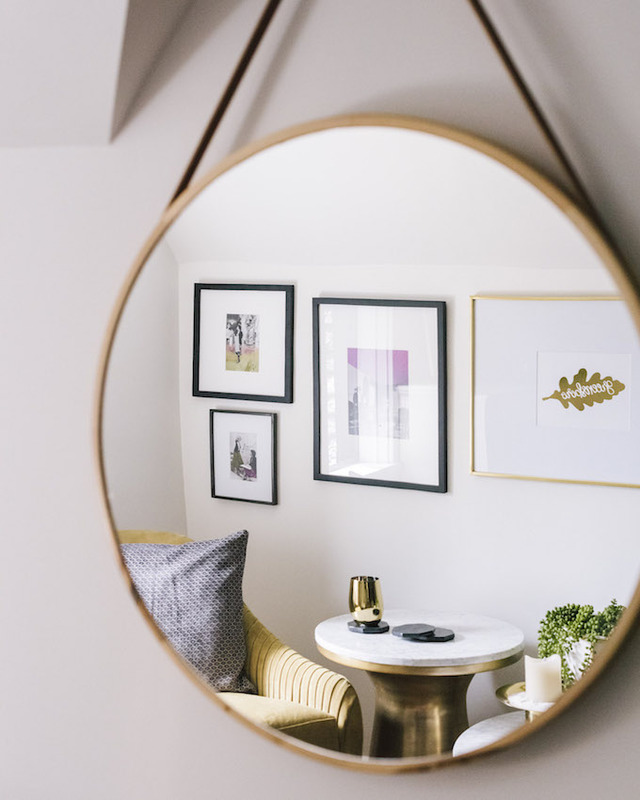 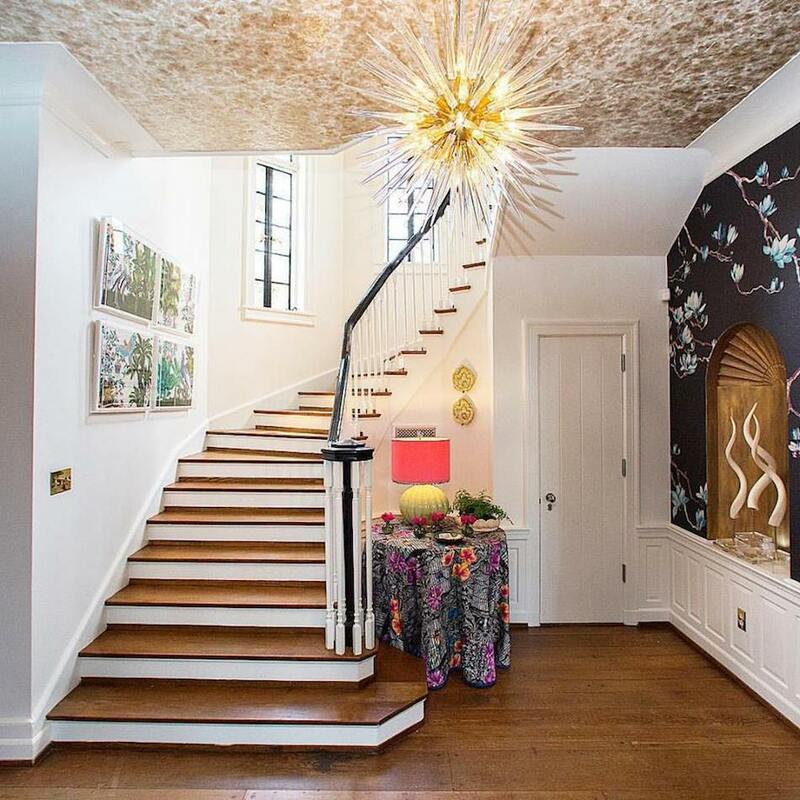 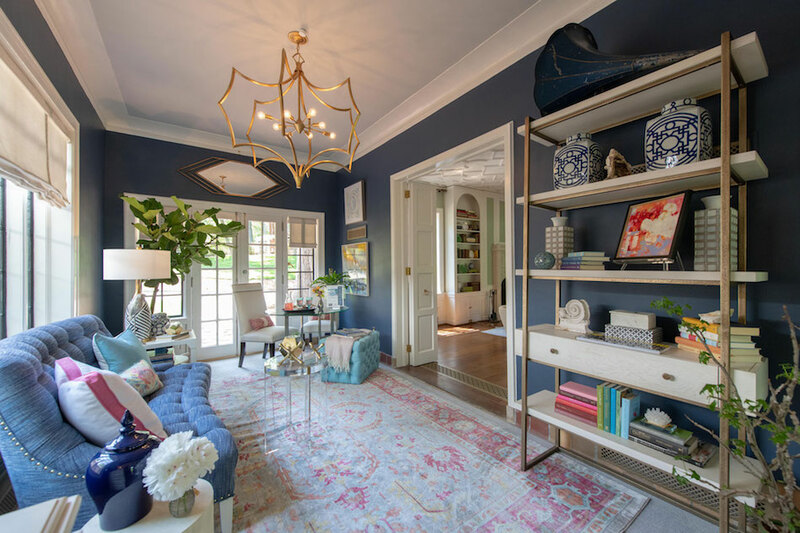 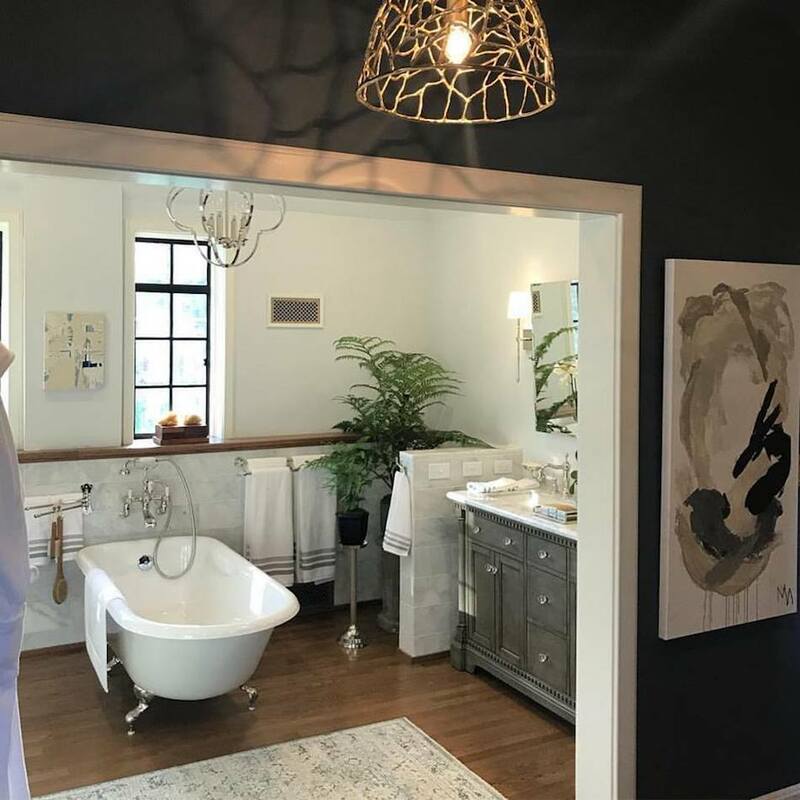 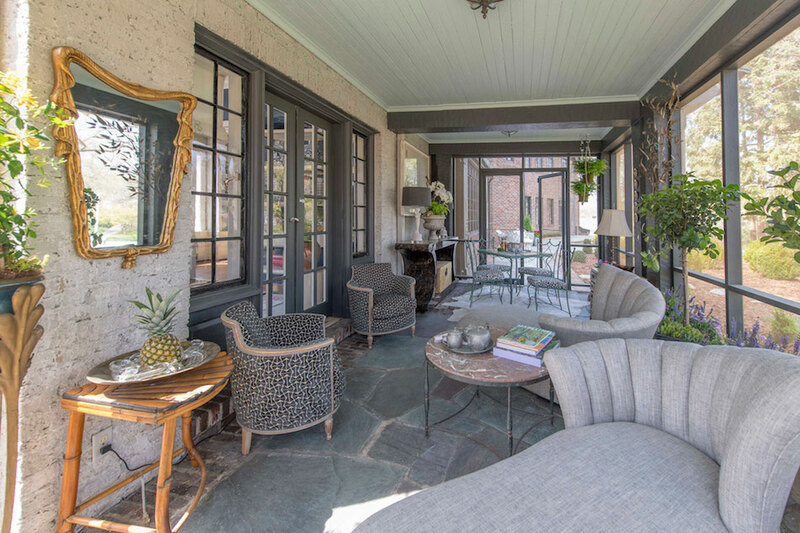 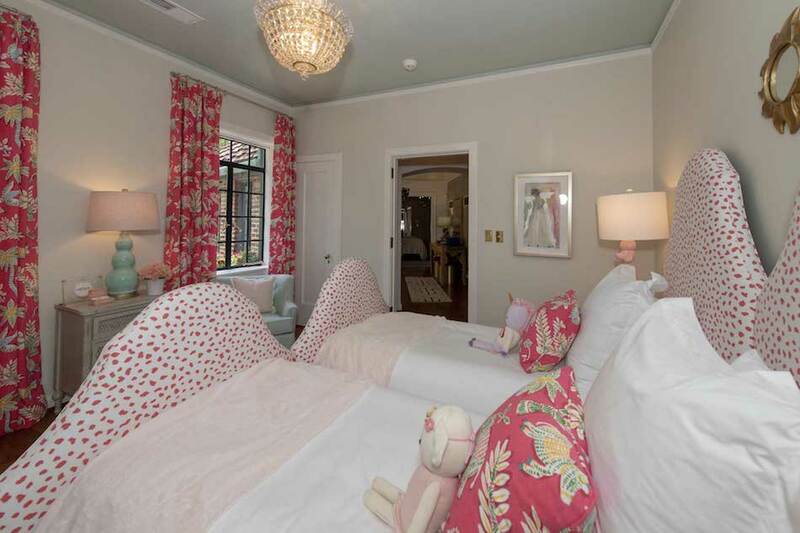 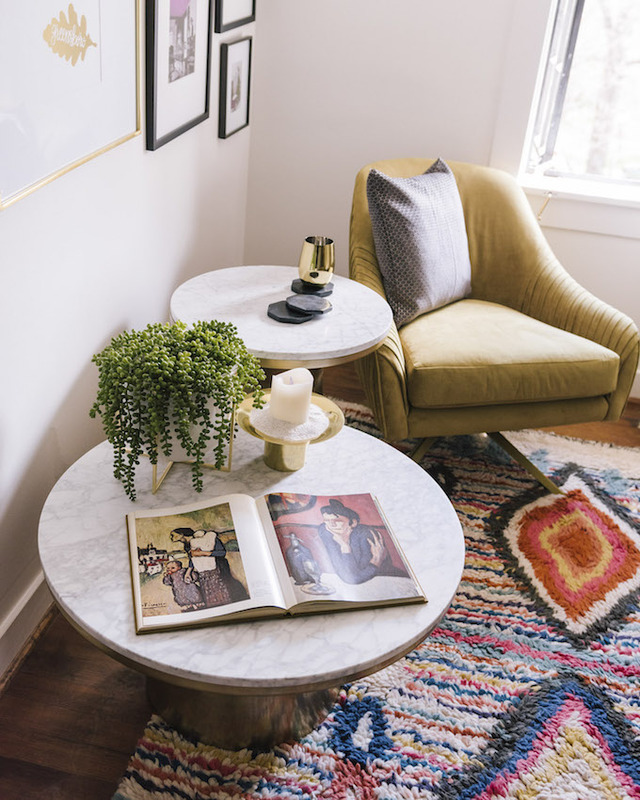 Southern Home magazine used the residence as the setting for their first-time show house, allowing designers from all over the south to showcase their talents and transform each space. 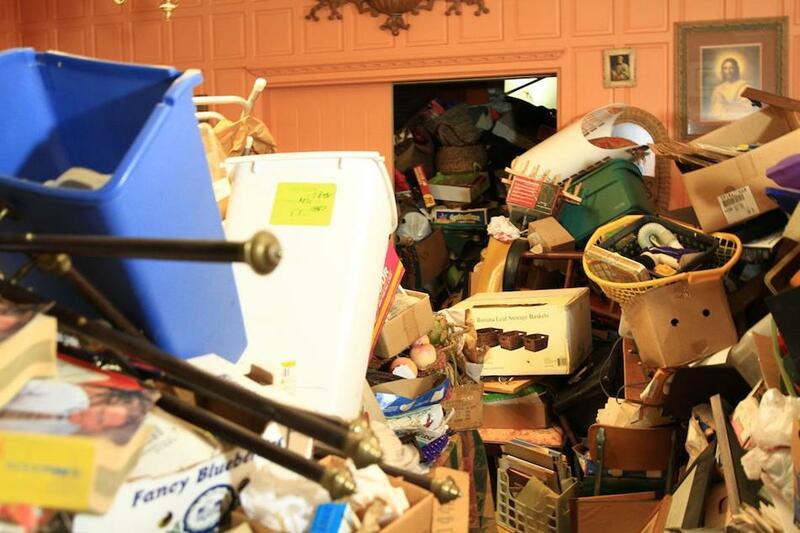 Following the popularity of the first time two-hour season finale, Hoarders rolled out a brand new season this year with expanded two-hour episodes. 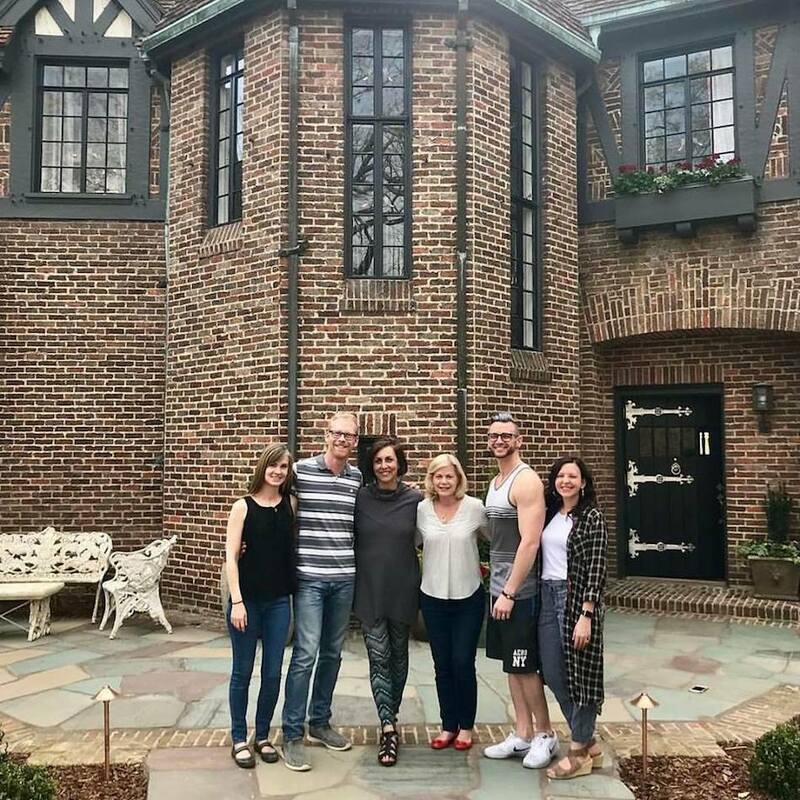 A brand new episode following up with current owners Michael Fuko-Rizzo and Eric Fuko-Rizzo as well as former owner Sandra is airing tomorrow, April 9, 2019 at 8:00 pm! 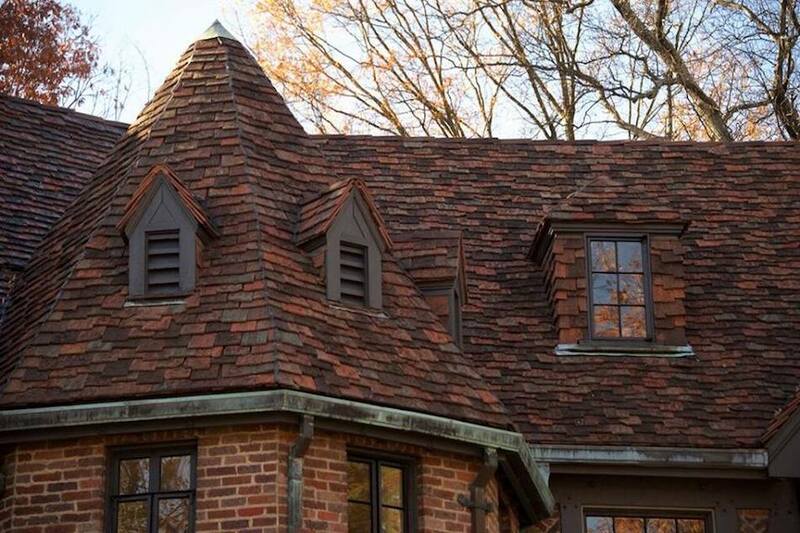 You can also catch up with what’s going on at the Julian Price House on dedicated Facebook and Instagram pages! 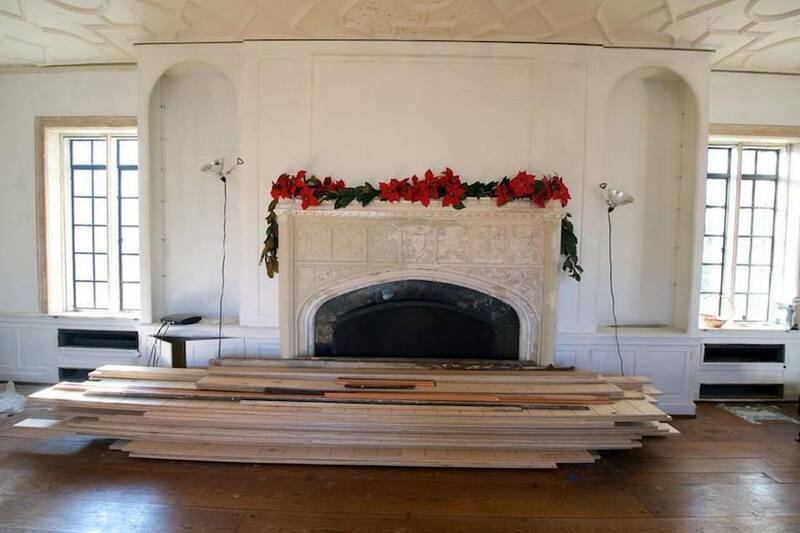 Photos courtesy of Julian Price House on Facebook and JulianPriceHouse.com. 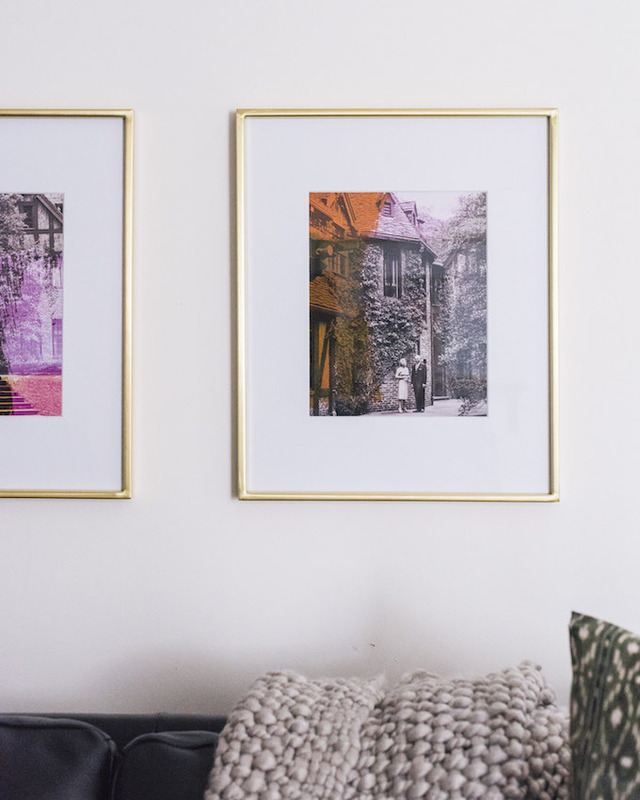 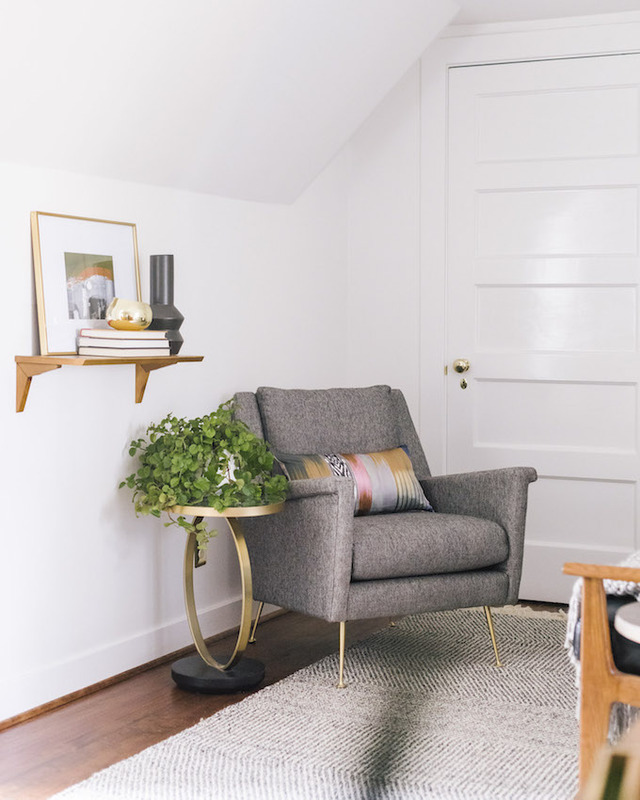 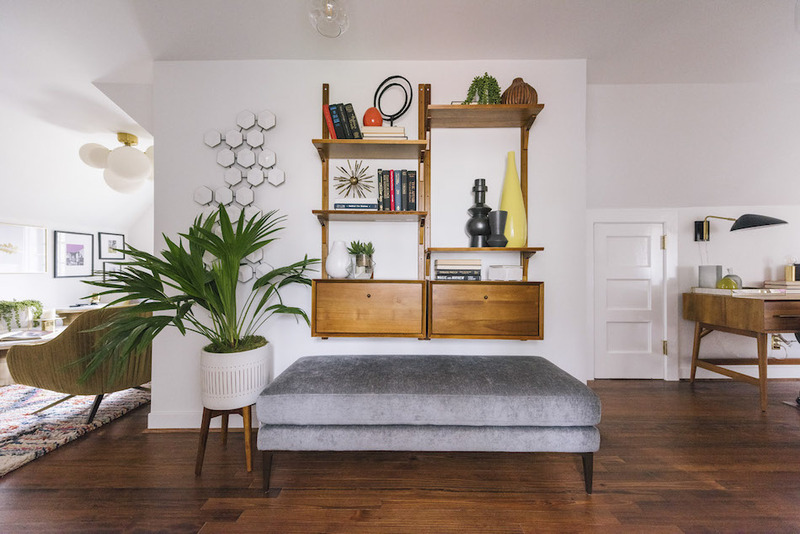 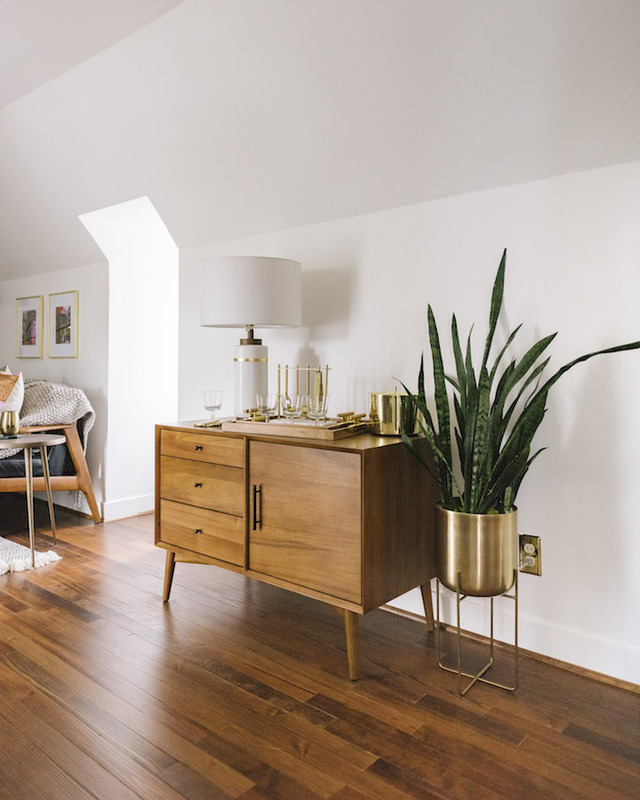 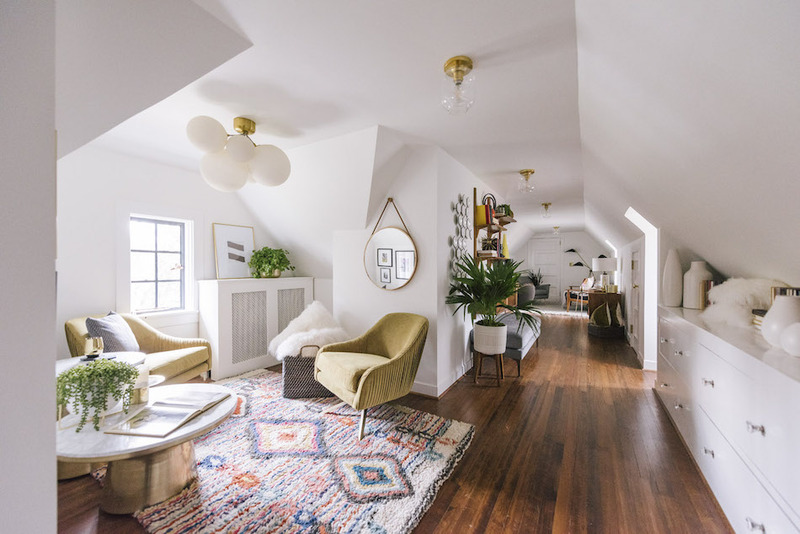 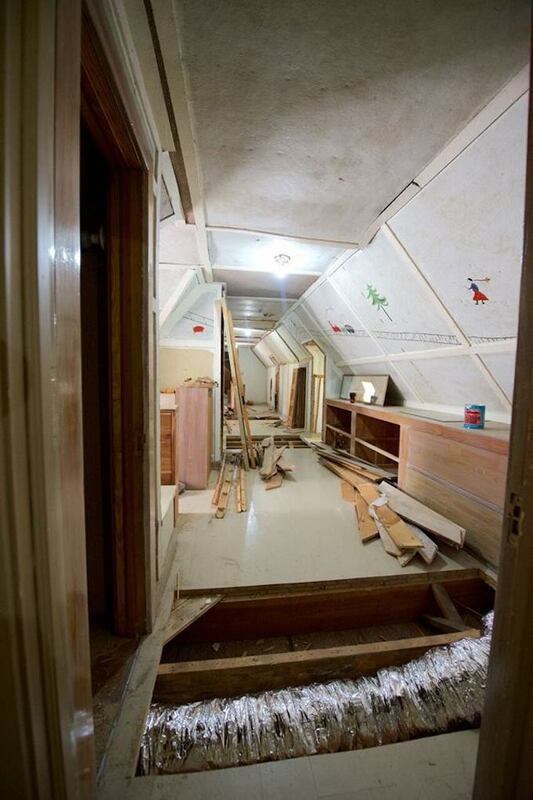 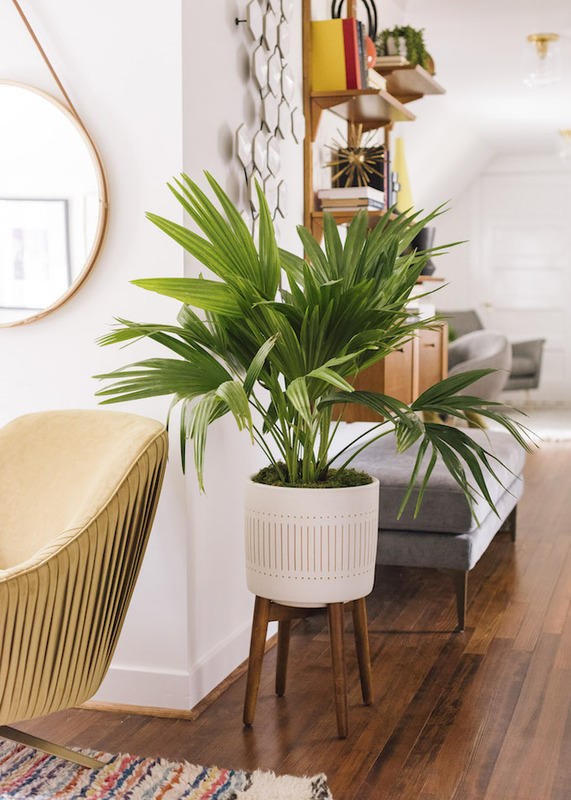 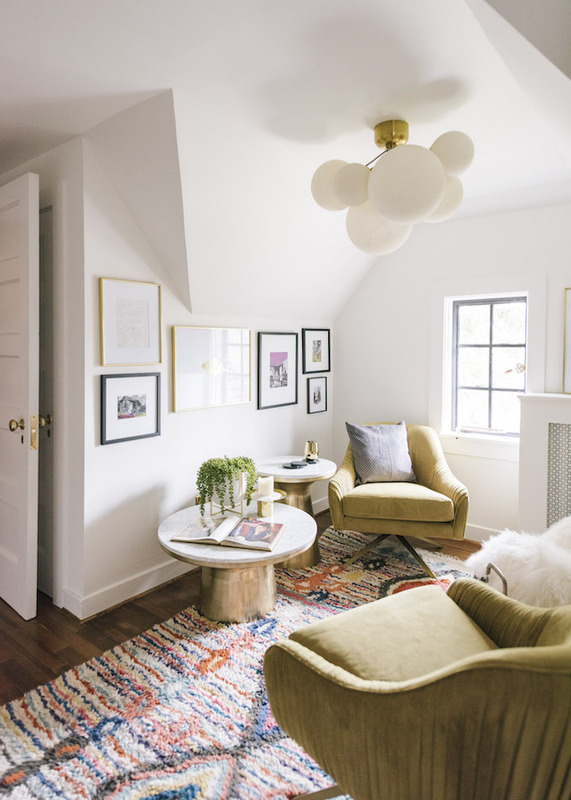 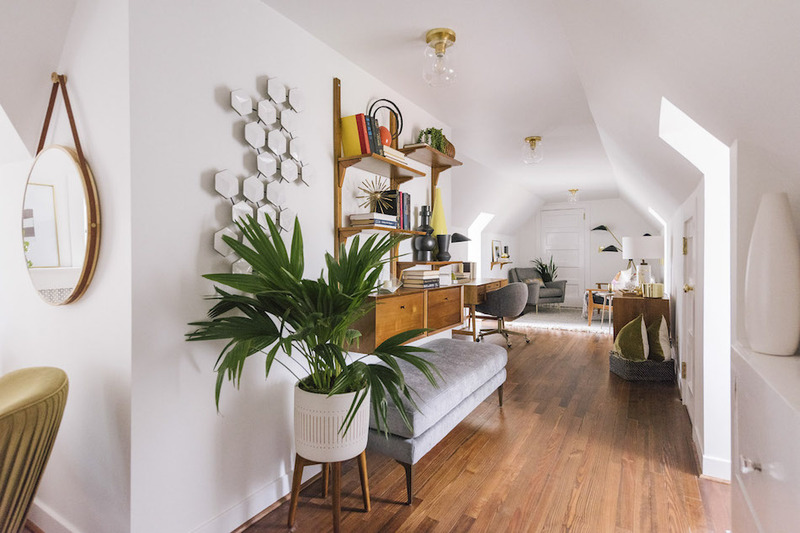 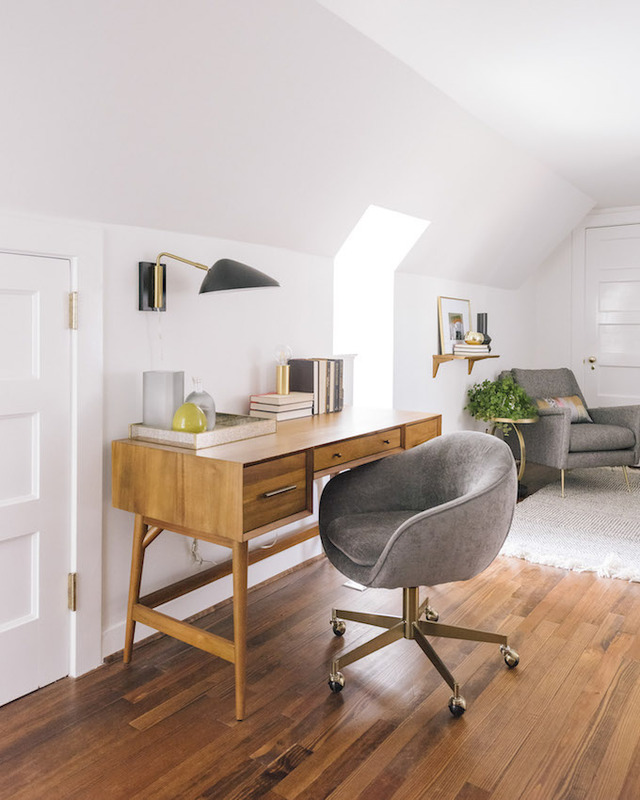 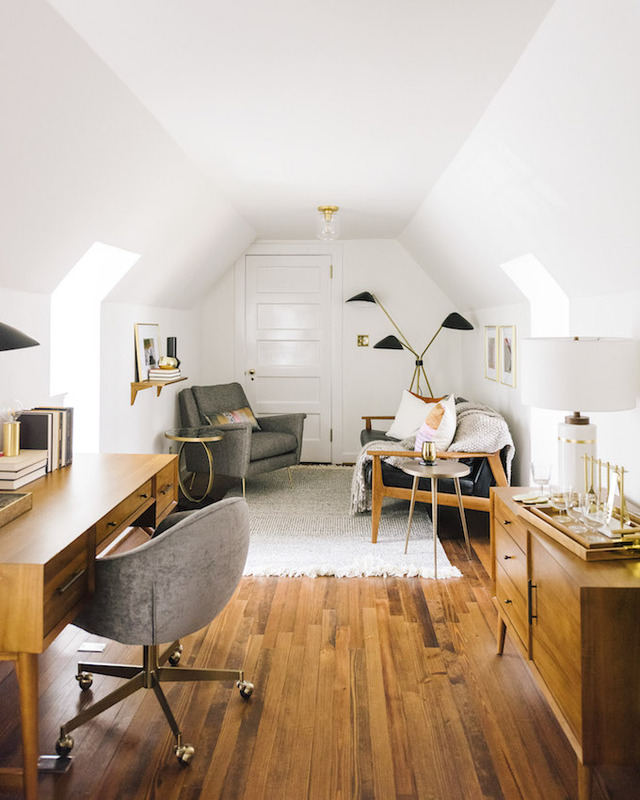 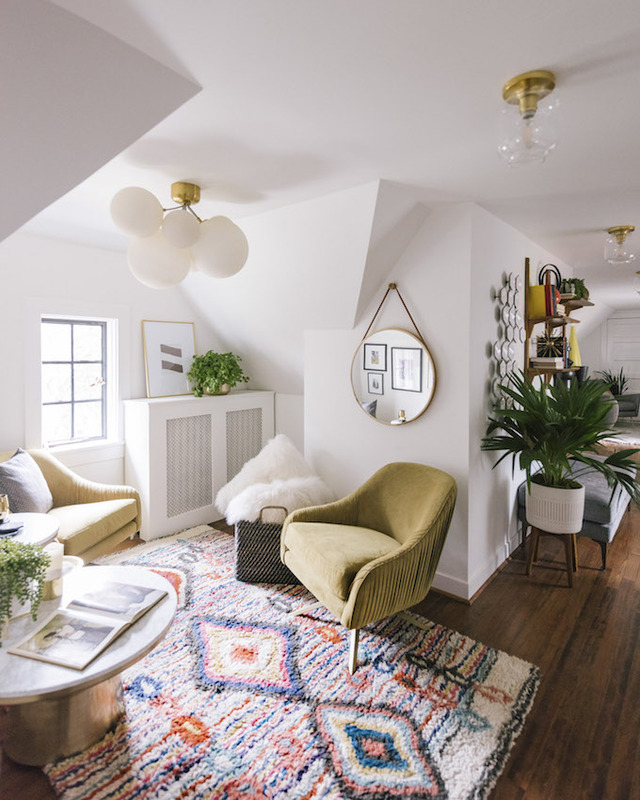 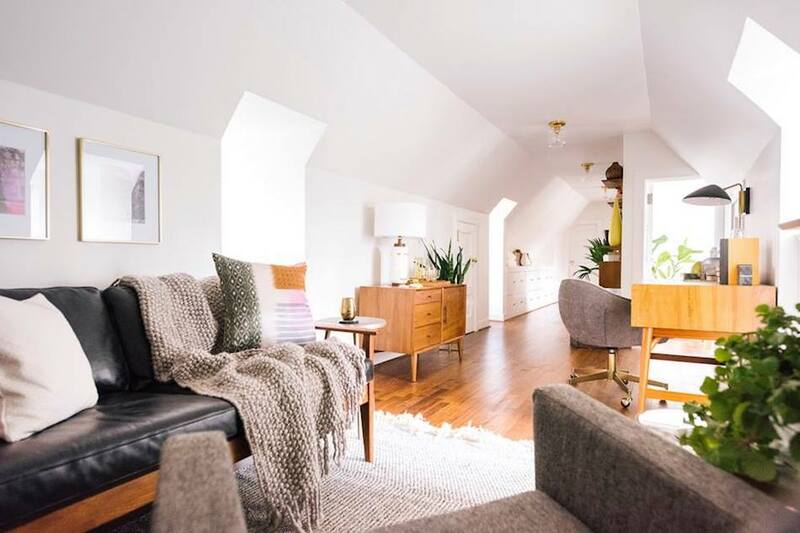 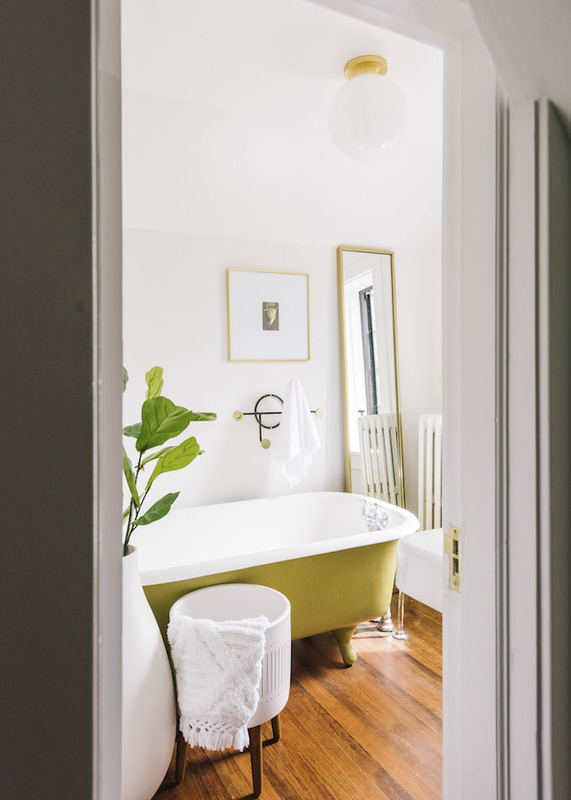 This next batch of attic photos found on Front + Main: A Blog from West Elm.